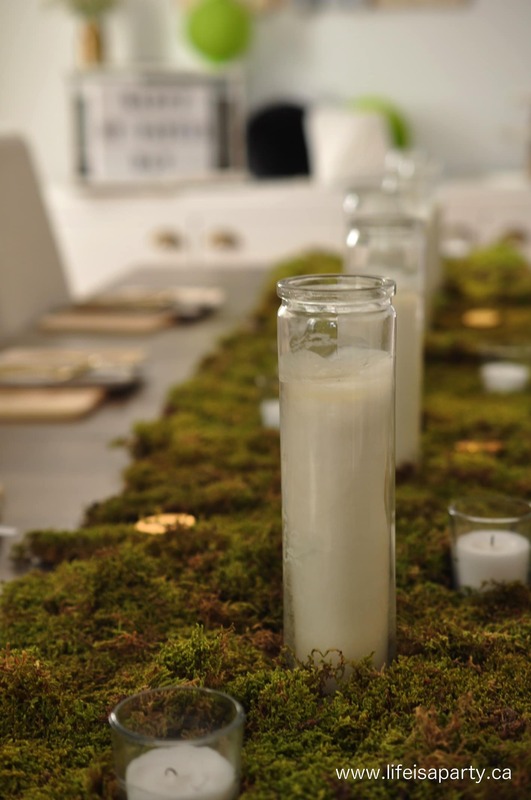 It’s almost St. Patrick’s Day, and today I’m bringing you some inspiration for celebrating. 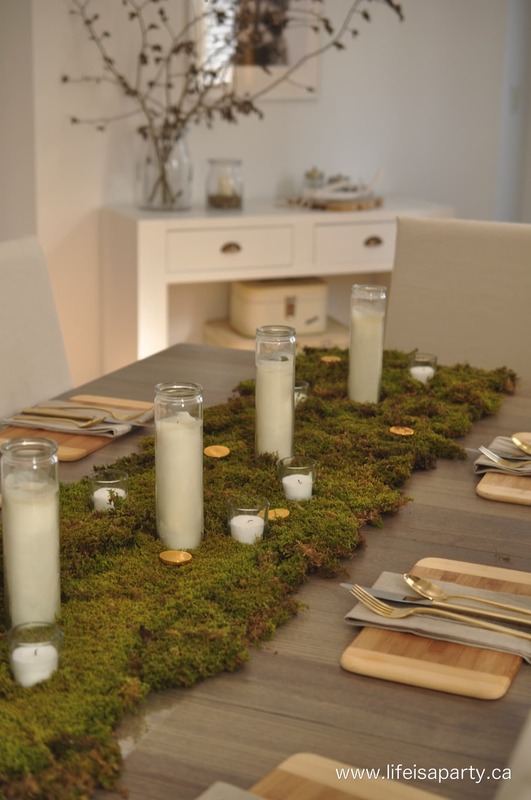 This beautiful tablescape is the perfect modern, and simple St. Patrick’s Day decor. 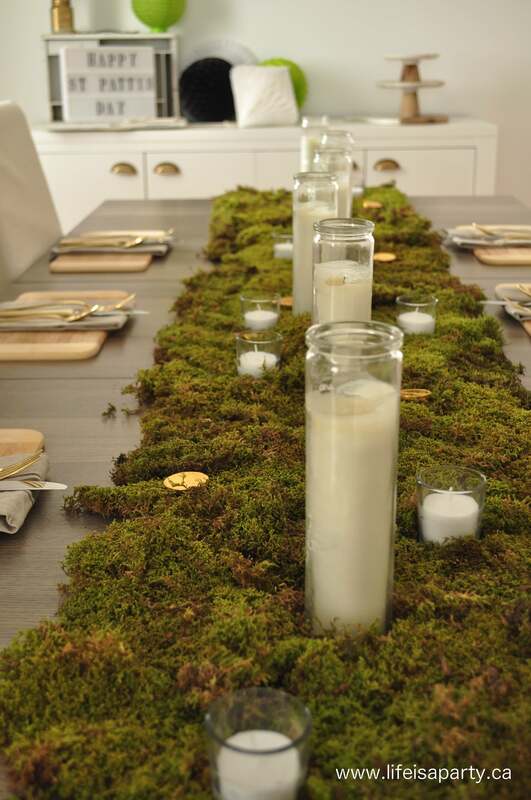 I started out with this amazing moss table runner. I went hunting for moss in the forest and found some great pieces. 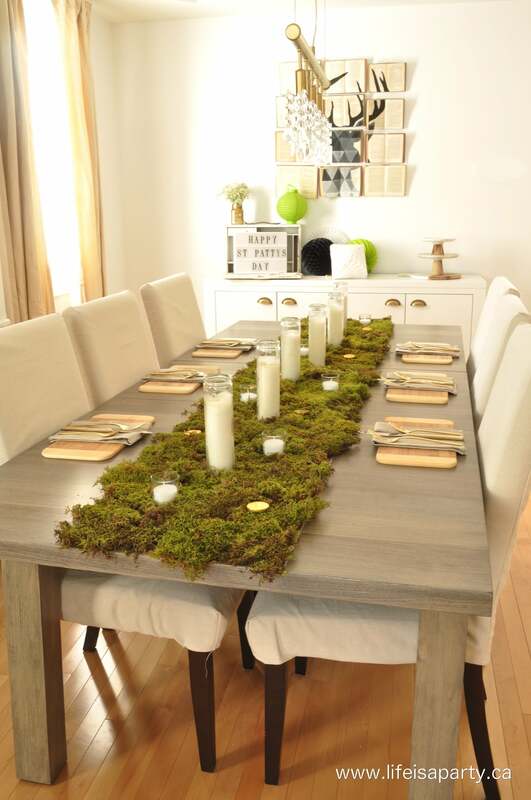 They were really wet, since it’s spring, so I dried them out to create this beautiful runner for the table. You could also pick some up at the craft store. 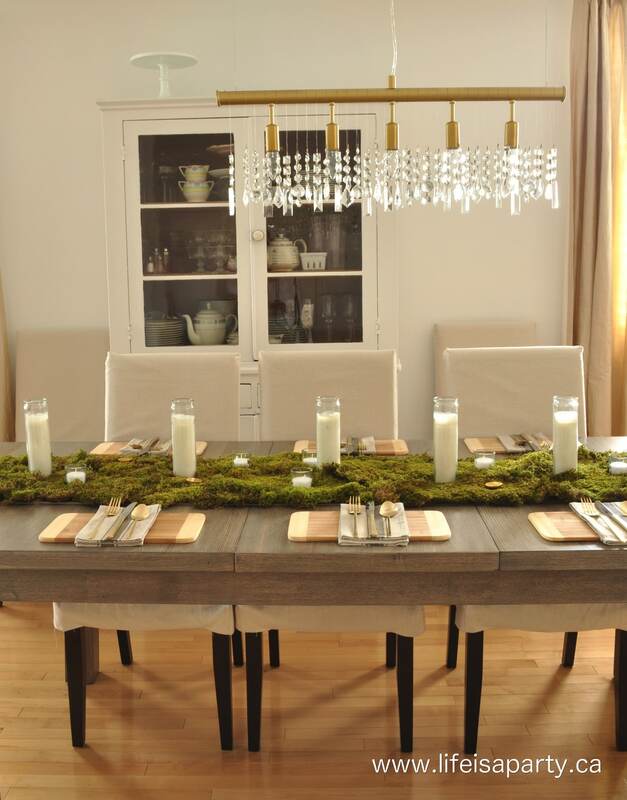 I wanted to make sure that my newly refinished dining table didn’t get damaged at all, so I started out with a strip of clear cello wrap to protect the table, and then laid out the moss pieces on top. I picked up some simple white candles at the dollar store and cut a few holes in the moss where I placed them to make sure they weren’t too tippy. Along with the candles, I sprinkled some leprechaun gold -aka chocolate coins left over from Christmas stockings. Yum. On the buffet, I added some simple honeycomb balls and paper lanterns for a modern festive feel, along with a little light box message. 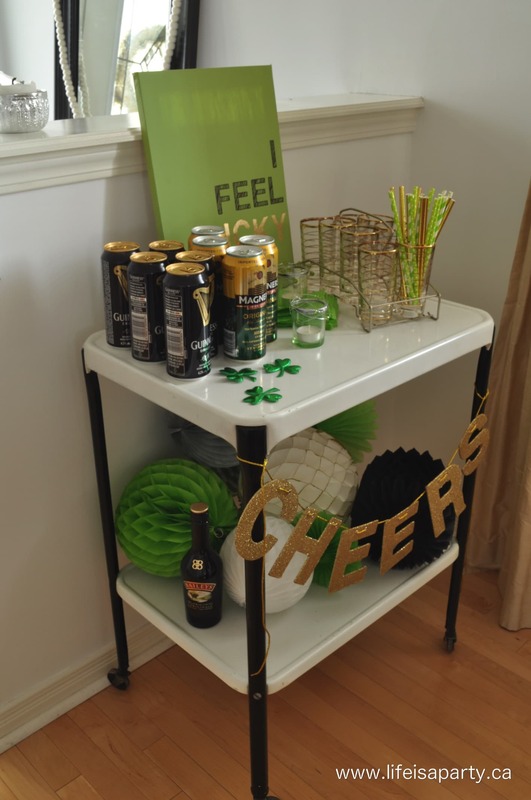 I also thought it would be fun to set up a St. Patrick’s Day bar cart. 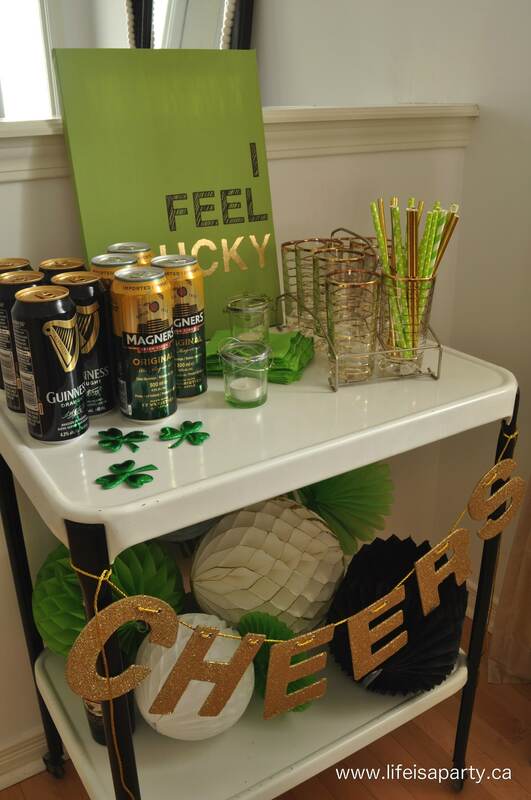 I love setting up little drink stations like this for a party so guests can help themselves. 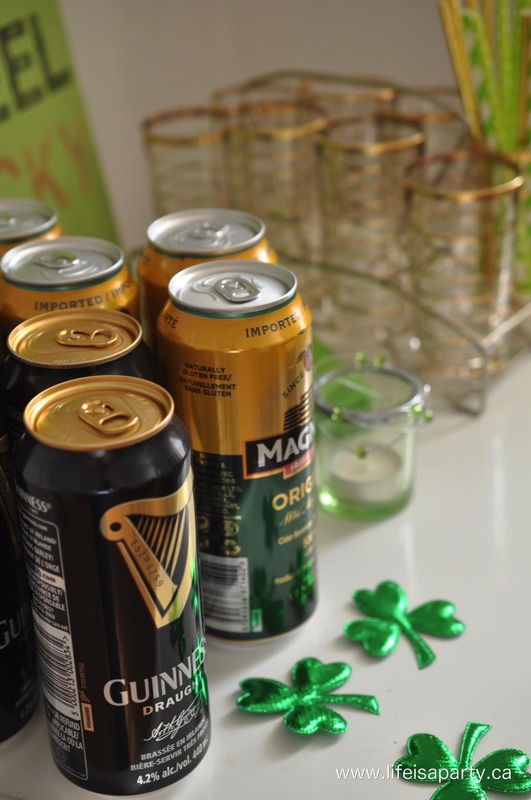 On the bar cart, we served some of our Irish favourites -Guinness and Magners Irish Cider. 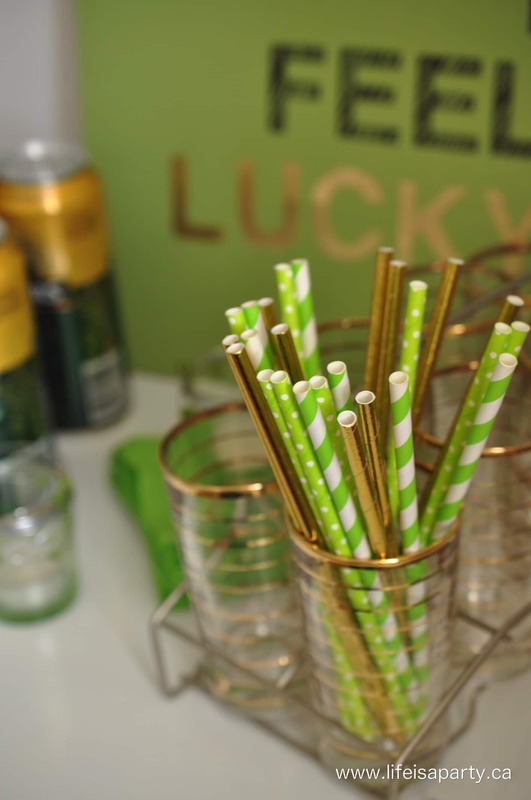 It’s fun to add a few St. Patrick’s Day details, like shamrocks, my “I feel lucky” artwork, and some fun paper straws. 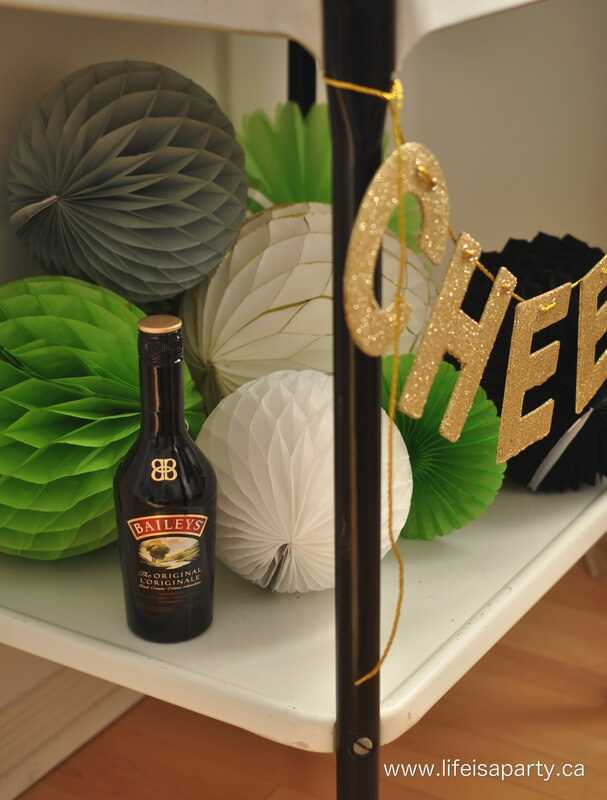 And for some after dinner coffee, we were sure to include some Baileys Irish Cream. 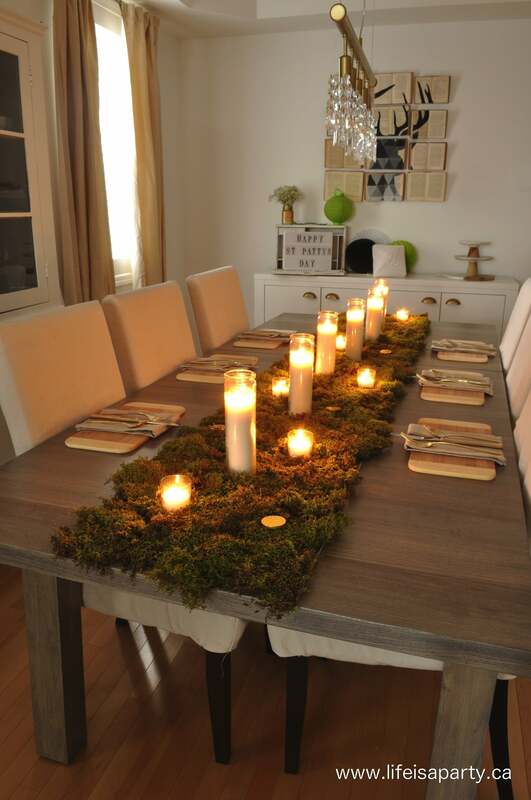 I had so much fun setting up our festive table, and preparing for friends to visit. Thursday I’ll be sharing all the yummy food with you. It looked so pretty with all the candles lit! 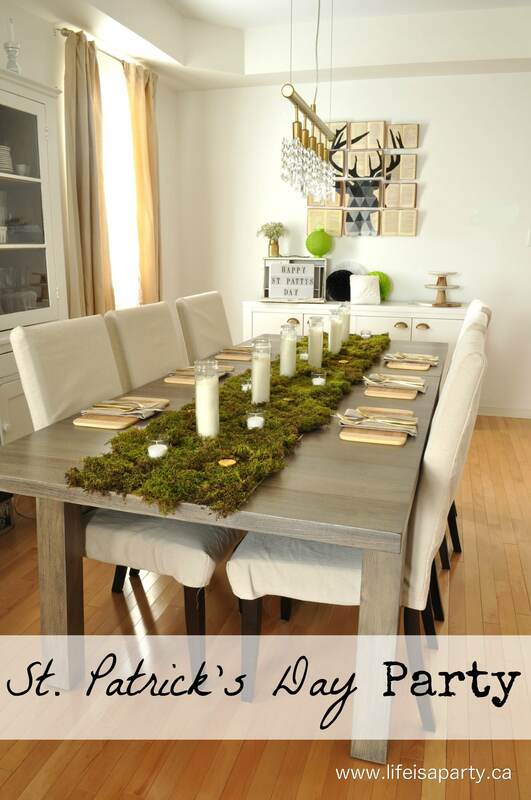 With a modern festive St. Patrick’s Day table and decor, life really is a party! So cute! 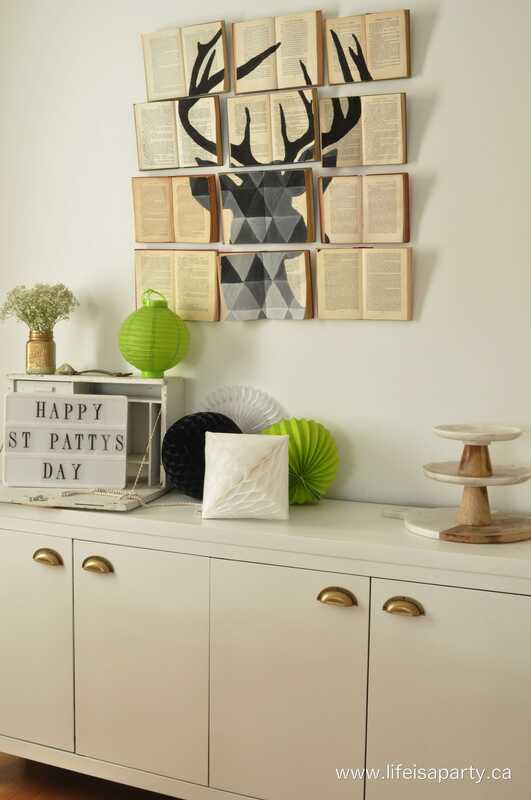 I love how you spruced up your space to make it festive for March. Great ideas. Thanks Kait, nothing like some green to make it feel like spring!